We love the Smoky Mountains! We visit the area several times a year. It is a nice touristy destination and the mountain scenes are beautiful, no matter what time of the year you visit. It was my birthday (16th of July) I ask my husband and my parent's to ride the Wheel with me. I found $2 off coupons for tickets, yet I think the $12/person is still pretty expensive for an 8-minute ride. It's located in Pigeon Forge, TN. You can park in the new parking lot and then get on a tram to get to this Margaritaville Island. 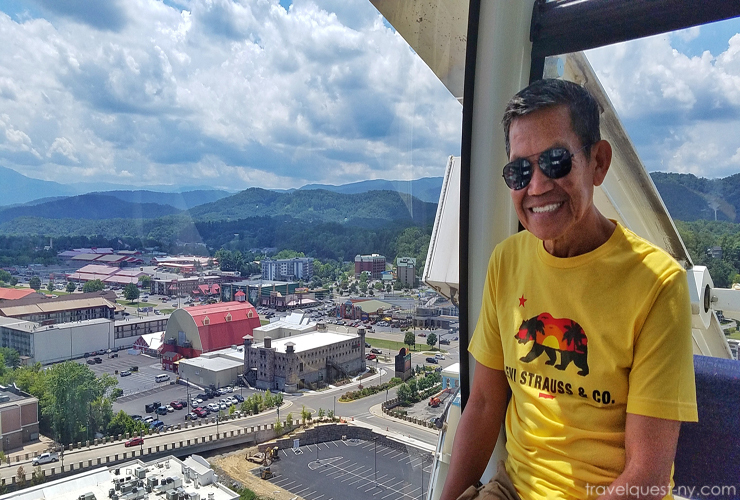 It's a smooth ride giving you a great view of the Smokies and of course the sights below - the goings on at the Island in Pigeon Forge, the dancing waters, and families strolling about like little ants. The gondola can fit 4-5 people comfortably . There's an 'emergency red button' to push if there's an emergency. Towering 200 feet-tall, the Great Smoky Mountain Wheel sits at the foot of Great Smoky Mountain National Park. 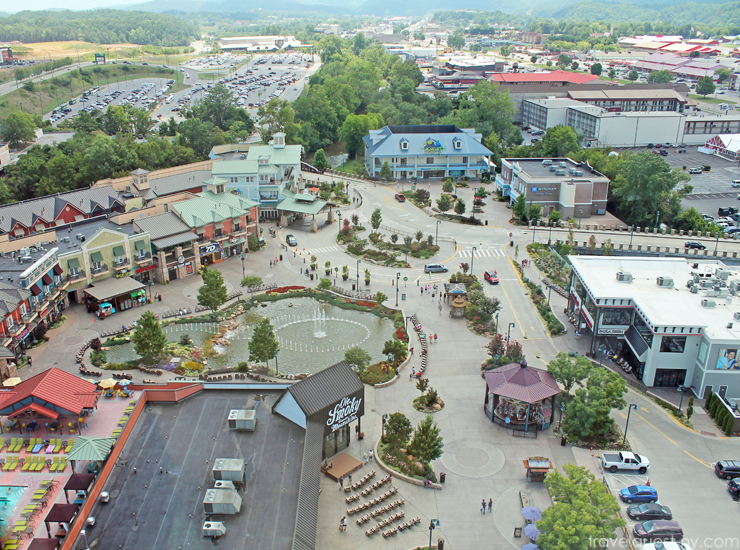 As the centerpiece to the Island in Pigeon Forge, it stands as one of the tallest attractions in the Southeast. We didn't have to wait too long to get on, and we made 4 or 5 rotations before getting off. The all glass gondolas are climate controlled with very comfy seating. A quiet smooth relaxing ride and when you reach the top you can see for miles in any direction. We would love to come back and see it during the night. On a clear day, you can see the top of Smoky Mountain in Gatlinburg. The wheel showed a great view of the Island and surrounding streets. The dancing fountain is Ahhmazing! Even my Tatay Oscar enjoy's the view and the ride. That is so awesome! I LOVE getting on huge Ferris wheels. The view from the top is so amazing! 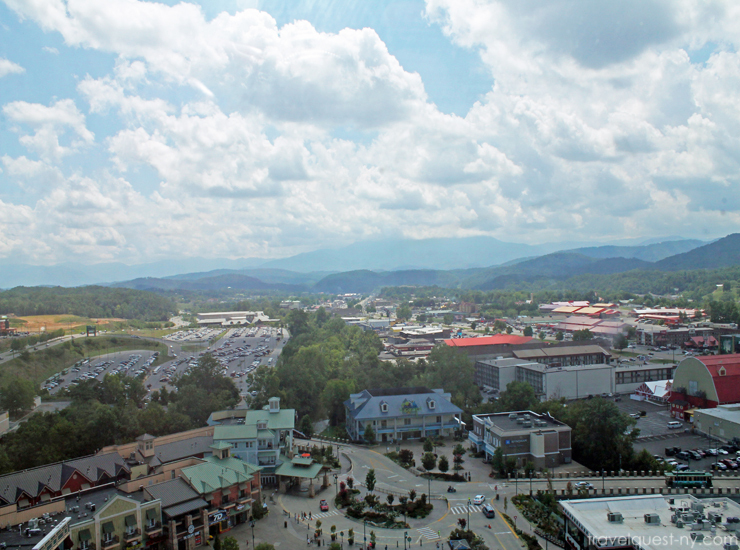 I am hoping that in a few years I can come out and visit Pigeon Forge. It looks like a great place for the family and a lot of fun to explore. 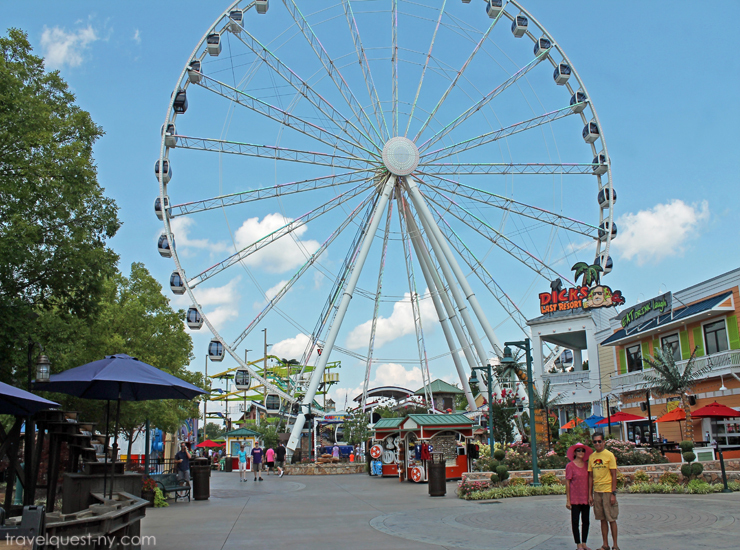 The Great Smoky Mountain Wheel looks like so much fun! I've always been a fan of ferris wheels and this one looks like a very exciting ride. What a beautiful view from the top! I haven't been on a ferris wheel in a long time. This one looks so nice. 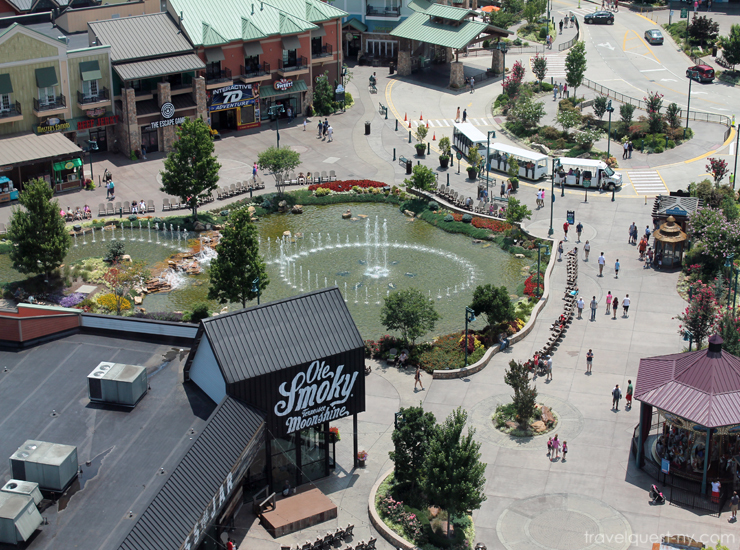 Grew up not too far from Pigeon Forge and it's always been one of our favorite places to visit. Such a beautiful region and a really great place for affordable family vacations. What a gorgeous way to see a city! Looks like quite the ride experience and those mountains are incredible. Wow, how cool. I'd do this. It's always an amazing way to check out everything around you. Even though I'm petrified of heights. That's an amazing view! While I don't like heights too much, it's nice that the cars are enclosed so you can really enjoy the sights. What a neat place to visit! What a beautiful view. I've been hearing a lot about how fun Pigeon Forge is. I would love to go one day. OMG this would be sooooooo much fun. I am scared of heights but this Ferris Wheel looks awesome! Wow, what a beautiful view. I am not a fan of ferris wheels, but this one that's all enclosed, I could totally do! I haven't been a wheel like that since I was a little kid. We didn't have a view like that, either! Just wow! That's really cool! They have a wheel like that in Las Vegas and in Orlando, Florida. I haven't been on either one yet. That is such a beautiful view. It has been ages since I have been on a Ferris wheel. The Smokey Mountains look like a beautiful place to visit. This ride is really awesome. You will appreciate the beauty if you can see it from a far. Wonderful! Confession- I have only ever driven through the Smoky Mountains but never stopped! 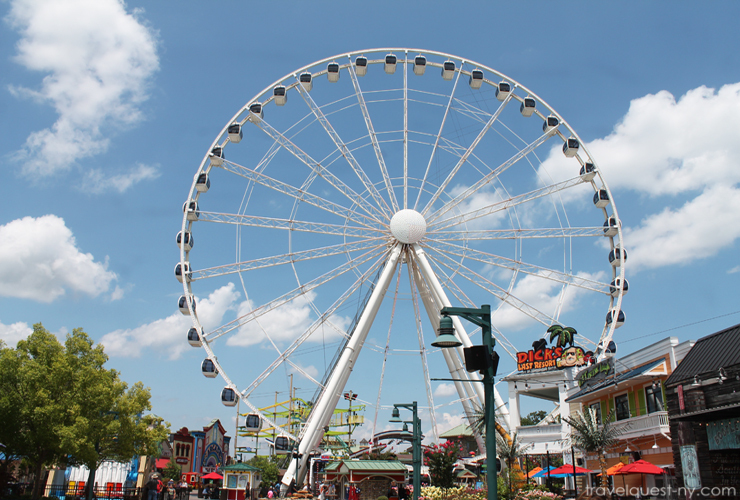 I would love to take a ride on the Smoky Mountain Wheel one day!! Oh now this looks super cool! And really fun! I love the smoky mountains, they are gorgeous and the wheel looks like so much fun! Gorgeous view! I haven't been to the Great Smoky Mountains since I was a child, but I wouldn't mind visiting it again someday. 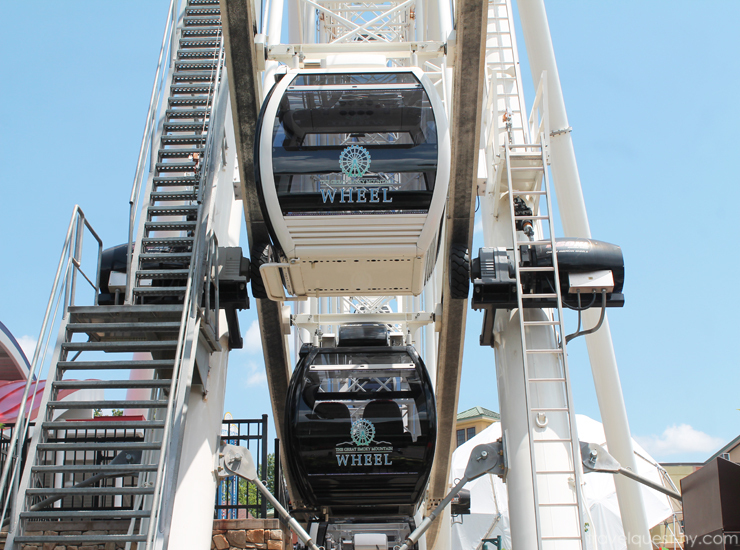 That Great Smoky Mountain Wheel looks really awesome! I've always loved riding on ferris wheels especially the beautiful view it provides once you've reach the top. The view of the fountain from the top is really stunning! We only drove through Pigeon Forge before. I hope we get to explore the are one day. We've driven through the Smokey Mountains a few times recently heading to Florida for vacations but haven't stopped to explore the area. I would like to take a vacation there in the next few years. Thanks for the suggestions of places to visit. What a truly beautiful place! You can see everything from up there! We got one here in South Africa - Cape Town. I absolutely love it, you can see everything from up there. Definitely a must try especially if you visiting a new city.